"Thirty But Seventeen" takes over the SBS Monday & Tuesday 22:00 time slot previously occupied by "Wok of Love" and will be replaced by "Where Stars Land" on October 1, 2018. Ep. 17-18 was originally scheduled to air Monday, August 20, 2018, but instead will air Tuesday, August 21, 2018. This is due to airing of the 18th Asian Games. Ep. 19-20 was originally scheduled to air Monday, August 27, 2018, but instead will air Tuesday, August 28, 2018. This is due to airing of the 18th Asian Games. mamayaya Apr 05 2019 2:25 am This has got to be one of my best stress-free drama!! Cast- somehow perfect cast, at first I dont really feel comfortable with Shin Hye Sun being the lead but she was really gooood. Yang Se Jong yet again never failed to make me cry when he cries. He is really good at emotional scenes, especially this one! Whenever he is triggered by traumatizing events. Other casts like Chan, I just love it, the third party feeling, is light? I just dont feel any competition from Chan bc he cares alot about his uncle. I feel bad for him tho :(. Chan's friends are somethimes annoying though but are really funny. And of course, Jenniferrrr, she is just my favorite and it brings out the energy per ep. All in all this is probably one of the best dramas of 2018 and I am both regretful and so damn greatful for watching it just these recent days since I was bz with college. No boring episodes, everything /everyone was just so happy and I really loved it. Kudos to the producers and cast for doing such a great drama! 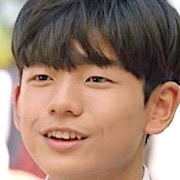 henrylim2709 Mar 19 2019 10:54 am One of best korean drama 2018. No boring episodes, the story is really interesting from start until finish. All characters here are great, especially Jennifer, Gong Woo Jin and Woo Seo Ri. Ye Ji Won, Yang Se Jong and Shin Hye Sun really did a great job. I really enjoy watched this drama. Pika Mar 18 2019 4:25 pm I think that the most Korean dramas start very interesting .but in the middle. like in ep 6 or 7 when the character start to fell in love with each other. and doing bascly nothing .the drama become very boring . And It's staes like This until the end. nothing interesting happening with the storyline anymore. And I think that the screenwriters need to put the love story at the end .and focus more on the story. ellie Jan 30 2019 3:18 pm Has to be my favorite drama of 2018! Loved the chemistry! This had me laughing and also in tears. The first episode really drew me in. Loved the second lead as well! Such a great cast and story. Charlie Jan 24 2019 2:21 am Binged watch this in a day!! Totally worth it. The leads have great chemistry and the supporting cast are hilarious + unique storyline. 100% recommended!!!!! Kris Jan 18 2019 9:08 pm Such a talented actress. Rire Jan 12 2019 8:03 am I enjoyed watching this drama. The actors are amazing. Light story line but some heartbreaking moments (I did cry around the last 2 episodes). But generally, it made me smile a lot. Excellent chemistry I must say! Sheila Dec 29 2018 8:24 am I love the story and the whole cast. I'm 36 and old but watching this story makes me feel young once again. I wish I can meet them and take photo with them. More power to your group! Alice Dec 28 2018 12:13 am I thoroughly enjoyed this drama. I loved this drama because there were no back stabbing or revenge or murder just to get ahead. Shin Hyesun and Yang Sejong is such a loving and fragile couple in love. They should win Best Couple award. Ahn Hyo-Seop is such a great actor I will vote him as Best New Artists. Thank you script writer, director and producer for a heart warming drama. I like to see more of such drama dealing with human interactions. loooo Dec 26 2018 4:37 pm the 31 december in the SBS drama if these two Don't win the best couple award i will stop watching drama their are so cute. 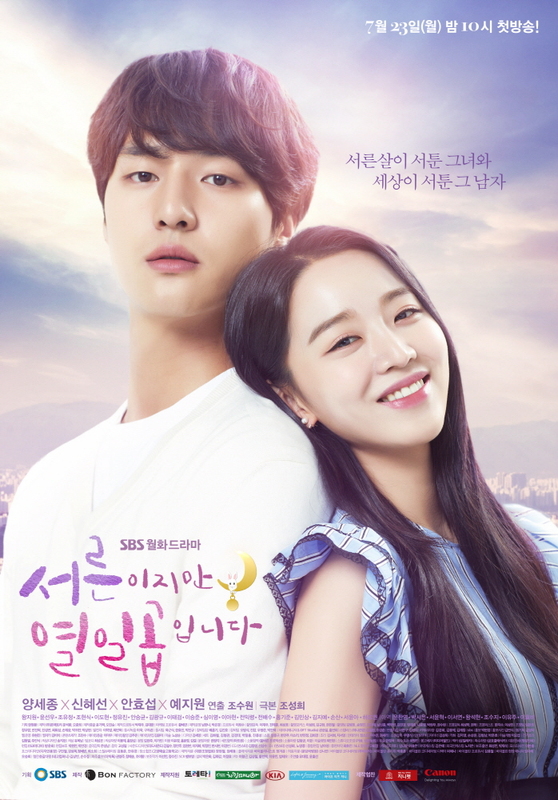 SHIN HYE SUN is definitly become my fav actress she act so natural and she is so funny Yang Se jong Don't impress me in temperature of love but now i'm a fan!secondary actors are also important here it's impossible not to love them CHAN is so cute i almost ship with Seo Ri and jennifer is so touching anyway this show is one of the best of this years all of this cast deserve an award At the end that I quit this drama I could not stop crying I love them! Ghina NC Dec 20 2018 7:29 pm I REALLY REALLY LOVE THIS DRAMA!! Yanna Dec 18 2018 10:29 pm I really really love the story as in! They're using Samsung phones. From what I saw, I rememver s7, s8+, s9+ and Note 8. Obe Dec 11 2018 2:29 pm I really like this show the actress and actors are excellent and The chemistry is daebak the couple is so cute I Hope this two will win the best couple award !! Maria Dec 04 2018 5:37 pm This was one of the best dramas iv seen. The story line is interesting in every episode but not too over empowering where there’s forced drama to keep it interesting. The story line flowed very well and the actors portrayed the characters in a way which made it believeable that the female lead was ‘still 17’. Prapon Dec 03 2018 10:19 am Absolutely one of the the best romcom dramas of 2018 and right up there with the best of all time imho. It has everything, super cute, super funny, super serious, super romantic and super sad at times it had me gripped from start to finish and I binged watched it over a couple of days as I just couldn't stop once I started it! If you love K drama Romcoms then I can guarantee you will love this, so what are you waiting for? GO WATCH THIS NOW!! thatMDfan Nov 27 2018 10:42 am Light and heavy at the same time. No boring episode. I love both the lead actor and actress. I love this!! Marble Nov 23 2018 3:11 pm This is a really good and underrated drama imo I would give it a 8 out of 10, the whole concept and the characters are great in this! The dog and the chicken are supercute. Only thing that annoyed me was that the female lead got superwhiny in the last few episode, whereas for the character growth she should have gotten stronger and not weaker. Anyway, it is still very much worth watching, I've never seen a korean drama before which deals with such difficult subjects as accidents, being in coma and loosing time for one reason or other. Bluebird Nov 04 2018 3:29 am This drama really took my heart away. This drama teaches us so many things like helping a stranger, doing the things that will make us happy and not minding what others are doing. Doing the things we love without having to compete with others will just make us happy like what Seo Ri did. Also, we can see how the truck driver patiently waits for Seo Ri to wake up even tho it took her 13 years later to wake up. The family they created even though they are not related to each other made them all happier. Another one is that opportunities are everywhere in our lives we just have to look for it. I absolutely recommend this drama because as I watch it, I can feel my heart melt and be swayed by each episode I watch. By watching this drama, you will realize so many things because the life lessons highlighted in the drama ??? Miss T Oct 22 2018 1:59 am Good plot but the actors didnt make it come alive. No chemistry between the leads and too much crying for stuff that didnt even need crying especially for a guy. Just put me off. It may have been better with different actors. Susannna Oct 20 2018 6:03 am I'd give it 9/10 because, honestly, it's one of the few good dramas from this season (early Autumn). The story was certainly fit for reading in a good novel and the picture made it better. It's the cutest, melodramatic, romantic drama you'll ever find in 2018. That's only my personal opinion but I firmly believe I have a pretty decent eye for dramas (not actors, because they can be in very bad ones and don't watch them despite I admire them). Angel Zhou Oct 15 2018 9:44 am Simply an easy watch because of its great actings, well presented story, and nice OSTs. It is almost perfect! Everyone is changing slowly to the extend that you may not realize yourself that their characters are developing, more and more lovable ? It is 'almost' perfect because some things were logically off, but that's OK! Still enjoyable. If you are looking for fresh, lovey dovey drama, I suggest you to watch this. Definitely won't regret!! PSJisLove Oct 08 2018 7:45 pm This one really touches my heart. No dull moments at all. Characters, chemistry and story wise, it's perfect! The back story and twists were great. I love how they treated each other as families. All of the characters were lovable despite their imperfections. Even Hyung Tae, Rin Kim and Seo Ri's aunt. Two thumbs up for this drama. Highly recommended. Luna Oct 07 2018 6:36 pm I just finished watching this one and I love it sooooo much! The story line is easy to understand. Its light and fun. Its such a warm drama and I really love it. And I watched Shin Hyesun at Oh My Ghost when she played as Kang Eunhee. At that time, I wondered when will I be able to watch her as the main character because like Yang Sejong, she is really great. 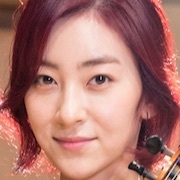 Also Ye Jiwon. Omg she is perfect. I liked her since Another Oh Haeyoung. I cant let go of this one and I think I'll watch it again if I get my free time. What a great drama and recommended!! Can't wait to see another drama from the two main lead!? semperle Oct 05 2018 8:57 pm Wow! Simple but excellently done kdrama.. It'sbeen really a while that there is a kdrama that made me addicted.. This made me glued to it.. So romantic, humour is at the right scenes and then the drama itself... Great great acting from both the two leads.. And kudos also to all the support, they did an excellent job.. The muaical scoring is so beautifully incorporated in every necessary scenes! It has no boring or dragging feeling.. The best of 2018 for me so far... Highly recommended! sandriangem Oct 03 2018 11:36 pm I love this drama, highly recommended, I love the story and how each characters portray their roles. Wow, this drama is wow. One of dramas I can happily said I took the time to watch and it's rare to say that for dramas I've seen. The story is amazing. You just seeing the connection each character had for each other which is something I haven't seen in a long while. The chemistry between Woo Jin & Seo Ri is on point. Everytime they're together, my heart is just bursting with happiness from them. It just seems so natural. Although, it did seem a bit slow for the first half of the drama (which is why I couldn't give it a perfect 10). I was afraid that all of these conflicts wouldn't be answered at the rate the drama was going but everything that was presented as a problem was solved and I'm glad that this drama didn't have any loose ends. It didn't feel rushed at all. My concerns were addressed properly and in a good timely manner. Plus, a great ending too. This drama will put you in a emotional roller coaster, from laughing at funny scenes to having teary moments. This drama has it all. I definitely recommend if you haven't watched it yet. queeneloisa Sep 28 2018 5:37 pm i really like the storyline... the characters and i love them. i am recommended this drama. two thumbs up!!! quincyeyes Sep 24 2018 7:51 pm Still 17 is one of the best dramas I have ever seen. The cast was excellent. The writing was excellent. The journey from the first episode to the last episode was filled with constantly growing and evolving characters and feelings, laughter, tears, more laughter, romance, familial love, friendship, kindness, joy and enlightenment. This drama gets the highest marks from me and the highest recommendation whether you have seen 0 dramas or 200 dramas. This drama is worth your time. MW Sep 24 2018 10:51 am i love this drama because it's funny and heartwarming. They take the time to make sure the characters develop true deep meaningful relationships and though there were times I wished they deepened the relationships faster. I was always entertained and loved every minute and boy was that a satisfying and joyful show from beginning to end to watch. If you want something that will make you feel good and happy, this is the show if you understand that it's a show about character character development. As this show said and personifies, when one door of happiness closes, it's not the end if we are willing to be open and see that another door opened. dutchess Sep 24 2018 8:19 am I don't think this drama is slow paced,I think it's the opposite.Who would think drama is slow paced when u didn' know the '1 hr drama ep seems like a 5-min time only?I mean,u don't notice the time cause you enjoy it so much.And besides,aren't all dramas predictable these days?Unless u watch an action drama,there,u can find twist and u won't predict what happens For rom-com drama like this,story is predictable but it's still in in wander and great how they make the story and scenes to be enjoyable ,without creating dull or boring moments.Well,I found only one ep that seems so slow paced but still a great ep.,but other than,15 eps were great and amazing as it's a Fast-paced drama.So not boring at all. MR.critic Sep 21 2018 6:08 am this drama is great but this is slow pace drama. if you an inpatient watchers. i suggest don't watch it.. when i start watching i already know it slow pace. i still kinda liked it... although it slow... 1. watching drama will make u feel.. AT any age u can start anything. it means even in your 40,30,50 age, You can still be success in your life. 2. You will also learn a lot interesting quotes which will make you will realize more things about you (this happen to me personally maybe it wont happen to you ) and character. Conclusion if you into slow pace and realization watch it. The story is very loving and the family so good. i really like it personally. 3 more marks i dont give because  (NO twist, very predictable , very slow pace). Sara Gooda Sep 20 2018 5:27 pm It's a amazing how every element of the show is perfect I kept laughing like crazy and crying at the same time till the very end even with the happy finale I cried saying goodbye much the same as if a dear friend was leaving Yang se Jong has become my favorite actor it's not the looks definitely not he is one amazing talented actor that you will enjoy for sure and I'm writing this after watching him carefully in this show and duel before it Shin he sun is amazing she is a discovery that I will definitely persu I love her simple and sincere portraying the inoscence of her character God it will take me ages to finish writing about every actor in it they are all amazing The director as well I'm sure I will follow his works from now on My favorite characters other than the two leading actors are Chan.. Jennifer .. Chan tow crazy friends? 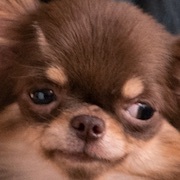 And of course the dog ??? oh I've never liked a dog like this in my life sooooo cute I highly recommend watching it and to me it's a 100% voting for everyone who worked in this sweet honest drama. Migthy Thor Sep 20 2018 6:37 am I just feel so good about having watched this drama from beginning to end. Everything in this drama is so cute, sweet, fresh, warm, loving and uplifting. Congratulations to the entire cast, crew, staff, personnel and production team for a job well done! Gi Sep 19 2018 11:19 pm I love the story and the back stories of the major characters. The casting is perfect which makes the drama so good to watch. Smart and different personalities of each characters are well thought and developed throughout the story. Writing is awesome and the dialogue plus the timing makes them so funny - like the 3 students, Jennifer and Seori and Woojin. Perfect scenes and background shots. Love watching this drama. Thank you for the beautiful kdrama....one of the best I've seen! Travalia72 Sep 19 2018 11:40 am I tried to be happy with 32 episodes but I still think this could be at least 36 episode long because there’s some scene on trailer last 2 episodes that didn’t make to the final cut like when an older women said to Seori “Don’t hate them, you can resent me if you want” (something like that) and when Seori said she met her uncle. I mean, the next drama will air on 1st October which means the slot for this time on last week of September will be empty. I wonder how would they fill it. Anyway........I really love the love progress in this drama, and love the twist about it as well. We’ve known from first episode that Gong Woojin likes Seori but I bet none of us see it coming when Seori actually notice him too since the first time. Their love story might seems corny and childish for some people (bcs I feel that way too at some scenes) but I feel they’re way mature about how to handle their own love than most drama leads. I really love when Woojin said (roughly) “it’s not about my thinking. You don’t need to worry about me when you making a choice. You need to think about yourself. I’m supporting any of your choice” like damn!!!! This is my first time seeing a male lead really mature when their partner is about to leave him. Most of male lead (which I have watched) would be so selfish and wishing his partner won’t leave him. This kind of things might be a minor thing but this is what made this drama feel so fresh. Ngl, I was kinda waiting for their wedding announcement but seeing how they only showed their photo and ring at the end, I find it cute. Really props to the writer for making such a simple love story but full of sweetness, cutenedd and teaches you how to handle things in a mature way. P.s: I really wish Yang Sejong and Shin Hyesun would win Best Couple Award. The pair is really adorable I’m gonna combust from their sweetness. P.p.s: whoever making the way Seori cancel her study to Berlin and how she thought Woojin would propose her deserves a Grammy!! ?? Austin Sep 19 2018 5:05 am Season 2???? Lovely Pink Sep 19 2018 3:48 am This is the best drama i've ever seen in this year. 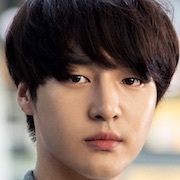 I love se jong more than i expected. I hope se jong will get a new drama and i'll watch! I have some fun time with this drama. beth villar Sep 18 2018 11:56 pm I thought still 17 has 40 episodes. why 32 only? ?? i'm not ready to end this drama. ??? Lara Sep 18 2018 11:02 pm What?! So the series was ended?! Not 40 or 38 episodes, but suddenly they changed it into 32 episodes only?! I haven't prepared to say goodbye to this series!!! This is just too cute, please tell me this is just a dream Tell me that i still have more weeks to watch this series!!! still17 fan Sep 18 2018 10:05 pm I'm so in love with this drama! I love everything about it, I love the storyline, I love the script, I love the clothes and of course I love all of the actors! I'm happy and at the same time sad because the drama already ends. I couldn't wish any better ending! Thanks for provided such a great drama! Sarang-hea ????? fang Sep 18 2018 8:57 pm Really love this drama since first episode until last episode last night. What a beautiful story with beautiful chemistry between woo jin and soo ri, they really good together and every romantic scene seems very natural. Beautiful plot twist and No evil characters. One of the best drama 2018.
amy Sep 18 2018 8:46 pm Good job for this drama. Thank you very much for the actors, the actresses, writer nim, the director, and all of the staff. The ending is very beautiful. Wait for sbs drama award this year..
Dee Sep 18 2018 7:14 pm Great job writer-nim...you always give good story with good ending. Nice drama. June Sep 18 2018 2:02 pm Wait they cut it from 40 then 36 and then 32 Really? Still 17 fan Sep 18 2018 12:26 pm I followed this drama since 1st airing till the last episode which was last night (32 episodes) and i have been a korean dramas fan since 2004, i would say this was one of the best korean drama ever. Even the story is so light because no bad or evil person in this drama, but this drama delivered so many messages for all of us. I smiled, i laughed, i cried and i felt so touched and so warmed so many times during watching this drama. And lastly, thank you very much for all of the people who involved in making this beautiful drama, for all of the actresses and the actors, the director, the writer, the producer and all of the staffs of this drama. 30 but 17 or still 17, you will always be missed. PsyDuck212 Sep 18 2018 4:11 am Only 32 episodes? Why?????? Arlene Songcaya Pujanes Sep 15 2018 9:21 am Please what is the breed of fang? Zahirahganatanatda Sep 15 2018 4:13 am This drama is reallly good because no evil character , give us moral value , such a positive character , they support each especially our " Don't Think , Feel!!" Squaddd i quite disappointed sbs cut 4 eps ?? love everythings about this drama , Mr Gong , Seori, Jennifer , Chan and Don't Think Feel team!!? rolisrntex Sep 13 2018 11:39 am I decided to watch this dram because my favorite actress is cast as the aunt. Despite her limited, role I have enjoyed this drama immensely. My water works didn't start until the very end of 14 when she says, "His name was Gong Woo Jin." Those two short flashbacks at the end killed me. Those looks and smiles the young Seo Ri were directing at him just melted my heart. I was bawling my eyes out. Hazel Sep 13 2018 8:31 am How come last 8 eps left? Why did they change it into 36 episode only but before it was 40 episode,. Don't do this please! pdnim, kamdongNim, jebal, Hajimayo! Please stick to 40eps that was originally stated first,. We really lobe this Drama,. We want more scene of Mr. Gong and Woo Seori together,. Jebal,. ??? cutechloe Sep 13 2018 7:41 am i really wonder why they decided to cut down the drama from original 20 episodes??? i think that's the reason why Ep 13-14 seem rushing the story since they both confessed and kissed. although it is still well-made but i feel a bit rush and now how's the story goes on from Ep 15 onwards??? this drama really makes me like yang se jong, this is the first time i watch his acting. 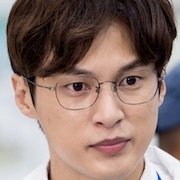 i feel he is a versatile actor since he fits in different characters from romantic doctor, duel, temperature of love and now still 17 which is kind of romantic-comedy. will look forward for his future project for sure! AHHHHHHHH Sep 13 2018 3:03 am My Fav Drama This Year!! love how the plot is not over the top. Love how simple it is and love the characters as well. Betty Sep 13 2018 12:17 am I never cried so much in one ep drama . Ep 14 so emotional and breaks my heart. I really love the actors here. Their acting are brilliant and absolutely the best in their generation. I wish to see more of them in beautiful drama. This one is my top 5 and I have watched roughly 200 titles. So good . Highly recommended. David Bantog Sep 12 2018 9:26 am This drama is daebak. Fathd Sep 12 2018 5:38 am Ep14- brokes my heart, i cry a lot, specially when she's reading the letter.it is my first time seeing yang se- jong acting.good job everyone for a nice drama. Meil Sep 12 2018 5:29 am This is definitely the best drama of the year. Some people thought it was predictable drama, but it was not at all. It was true that this drama will be cut down to 36 episodes, because the Where Stars Land Drama will be premiered on October 01, 2018. That's why this drama will only have 36 episodes instead of 40 episodes. Btw kudos to all the actresses and actors of this drama, also the director, producer, the writers even all of the staffs. Wiya Sep 12 2018 3:55 am Can't wait for nextweek... ????? Leony from the philippines Sep 12 2018 2:59 am Kudos to the scriptwriter. I so love the lines of Woo Jin in Episode 28. So heartwrenching. One cant help feel the emotion within. It made me cry. Missy Sep 11 2018 9:09 pm I feel bad for Kim Hyung Tae, he wait and care for her for years but still seiri choose mr.gong. Yang se Jong looks handsome but his acting always same in every drama Chan is so cute! Lunia Sep 11 2018 8:59 pm I guess it is not woo jin fault that seo ri stay on the bus. She migjt actually know the stop, it just she wanted to chat with him since she had crush on him... they shortened the episode.. why????? this drama is totally a hit!!!!! Keem Sep 11 2018 5:11 pm I knew she was in love with him first....wahh cried a river watching that episode....kyaaaaaa...plot twist am.loving it..
Ayu Anggraeni Sep 11 2018 9:27 am Yang se jong ?? J Sep 11 2018 9:22 am I thought it had 40 eps??? Nooooo I need more :( I don’t care if it’s just an hour of them holding hands. I Don't Care!!! Give Me More Eps!!!! I Will Watch Them. Fang Sep 11 2018 6:31 am VERY GOOD CHEMISTRY!!! The story was amazing. Always excited every episode!!! Best rom com drama so far! Mr. Gong and soo ri hwatinggg! Oo Sep 10 2018 1:45 am Asdfghjkll Oh mah gawd 3!!!!!! KISSESS!!!!! Ftisland fangirl Sep 09 2018 12:24 am This series is so heartwarming. I'm a bit conflicted on the love story coz i' not sure if i'm ok abt a 30-yr old and a woman with the experience of a 17-yr old ? Does it not seem like a 30yr old and a 17-yr old being a couple? Emma Sep 07 2018 6:44 pm the last part of ep 24 was so sweet, we got three kisses in one ep I can't be happier. OUM Sep 05 2018 5:08 am i love ep 23-24 soo freaking adorable. now it's exciting to watch it. Lunia Sep 05 2018 2:44 am Ep23-24...so sweet, I even keep on rewind the last scene. hahaha what did you do with your life mr Gong? Never kiss anyone before? Emma Sep 04 2018 6:21 pm another week with one episode, I regret starting this drama before it ends (don't get me wrong this drama is sooo good but one ep is not enough). Cat Aug 30 2018 4:48 pm I love this drama! The storyline is so warm and I like how mr. Gong started to accept his feelings for her. But one thing bothered me is that seo ri seems so fine eventhough she have been trough coma for years, I know she got a couple of treatment in ep 1-2 but I didn’t think its enough. Isn’t her body got weaker because she’s just laying on the bed for 13 years? dutchess Aug 29 2018 8:42 pm @yuri,I don't think the female lead acts like a 12 yr old girl.When I was 12,all I could think was just to play and to have fun.Can a 12 yr old be nervous,excited and emotional when her crush is around ?Can a 12 yr old think of living alone and be independent?She acts a teenager in this drama which justifies her actions knowing the fact she was in a coma for 13 yrs.And I don'tt think she acts like a teen at all,she acts mature in this drama,she's responsible,loving and cheerful,only that she has has a heart of a child,sweet and innocent and loving. Heba Aug 29 2018 3:22 pm I loved this couple, I really loved their acting OMG I waiting each episod to see more reaction , the actress is so emotional and the actor is so lovely . OUM Aug 29 2018 7:40 am waiting a whole week for one episode makes me so angry! i won't watch it cuz of this. 1 ep isn't enough at ALL! Jules Aug 29 2018 1:30 am Aghhhh nothing happened much in ep 17, 18. 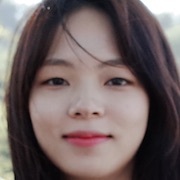 I hope this drama would progress already and answer the big questions we've all been waiting for: What happened to her uncle and aunty? What happened to Jennifer? Was there a relationship between them before Jennifer worked there? What happened to the doctor friend? When will Chan realize that Mr Gong and Seo-Ri are meant to be? 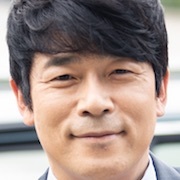 When will Ajusshi and Seo-Ri realize their connection in the past? No more delays please. My heart can't take it anymore. thanhyuu Aug 29 2018 12:54 am @ANA The reason for delaying has already written on "note"
Emma Aug 28 2018 7:00 pm one episode is not enough sbs, the drama is so good but waiting for one ep per week makes me angry. Nadirah Aug 28 2018 12:04 pm I really love this drama. I like the casts, plots and story lines. Alyss Aug 27 2018 9:41 pm OMG . I'm totally excited to know what happen next. Andddddd bammm it wass delayed. Howw shittt. sishanara Aug 27 2018 5:46 pm This drama is one of the reasons why I sleep in the wee hours of the night. I want to make sure I will not miss an episode. Am definitely hooked with the storyline, the chemistry and the cast. One of the best dramas of 2018, so far. Sbs, please do not delay any episode in the upcoming weeks. Waiting is a challenge! Dina Aug 27 2018 2:54 pm SBS I am gonna sue you ,How could you delay the airing for two weeks ,How dare you ,one episode per week is not enough ??????? Ada Aug 27 2018 6:05 am I love this story...but can I ship chan with ahjumma more? I hope they can develop good relationship after the filming. kdrama? I'm still waiting for ep19-20☺️? bench Aug 23 2018 11:10 pm I laughed hard with this drama. The Leads are oozing with undeniable chemistry with their cute facial expression and innocence. This drama gives me a good vibe every time I watch it. It makes me smile at a moment whenever I think about it. My God, I can't wait for another week for this drama to air. 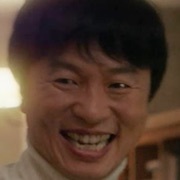 I am excited about the part where Mr. Gong will realize that Woo Seo Ri is his first love. Furlypink Aug 23 2018 10:15 am I think i am in love with Mr Gong. At the start of the drama, i didnt know I would fall in love so hard with him. Asdfghjkl Aug 23 2018 1:51 am I love how similar yoon chang young and yang se jong look! I keep seeing yoon chang young in him! And vice versa. Their eyes. Their smile. cutechloe Aug 22 2018 10:31 am its my first time to watch yang se jong's drama. he is good and cute :) though i like him and think he fits the character too, i also come across that yoo yeon seok will fit the character too! Yu Aug 22 2018 12:30 am Recommended for every romance drama fans. Lucky Aug 22 2018 12:20 am Yang sejong so cute. I like him in this project. EXY Aug 21 2018 9:29 am Im fans of yang se jong because of this drama ! I reallyyy love this drama , so sweet ? seulgi Aug 21 2018 5:04 am I love the storyline so much mainly bc I’m a sucker for these types of dramas hehe plus the actors and actresses are doing great down to the support roles I love them all! Yang Se Jong’s expressions are so cute like I replay every scene to watch his reactions hahahahaha So happy I found a drama that gets me excited whenever I think about it. Can’t wait for the next episodes!! Areyouhumantoo Aug 20 2018 11:07 pm the beginning of this drama was interesting but it’s starting to get boring and draggy. Jey Dee Pee Aug 20 2018 10:38 pm Good drama to watch. Both actors are doing great in their role. Can't wait to see the next episode. Jac Aug 20 2018 10:05 pm Im really in love with this drama..im watching this because of Shin Hyesun but im really hooked with the storyline..and this is the first time I've watched Yang Sejong in a drama..im definitely a fan now..im not so into rom com drama because I thought it would be cringy and cheesy but im wrong..this drama really gives me all the feels watching it..sometimes it reminds me when im 17years old back then when I watched Seori,reminds me of my first love when I watched Chan..this drama really is great..
Roro Aug 16 2018 8:22 pm Shin Hye Sun unnie saranghye. Anywhere you're I'll always cheer on you PS you're my mum's favorite she's a huge fan. Wishing u the best fighting!!!!!!!!! Steve Aug 15 2018 12:59 am I will watch this despite YSJ. I guess he's now typecast to be the negative type guy who gets the girl in the end. I loved SHS in Golden Life and Five Enough. That's why I'll stick with this show. Lunia Aug 14 2018 11:59 pm I still can't watch episode 15-16,still not on the net... Normally the drama will be upload early in the morning but until now in the afternoon still not upload. Gosh.. Can't wait to know what happens. MatchaLatte Aug 14 2018 11:12 pm Ep. 15-16 so amazing...love shin hye sun, yang se jong and all cast...(clap 3x ) wow!!! this ep make me more laugh but teary too...can't wait for next ep..
kiwi Aug 14 2018 6:36 pm It is the very best drama of the year. It receives only good comments from viewers. I don't like violent character which I think there will not be any. Bravo to all the team for delivering such a great drama, great actors, great plot. Thank you for allowing us to watch free, for those people who worked very hard to put the English subtitle as soon as it came out. You will find happiness here in this drama, especially episode 8 (or 16). I can guarantee even those who are very picky will adore this drama. I just don't want to keep it to myself and would like to share it. i am 22 Aug 14 2018 9:41 am i love this drama so much, and i'm gonna follow this drama until the ending, still 17/ thirty but seventeen fighting !!! Lulu Aug 12 2018 11:26 pm I love this drama so much so far! It’s so warm, cozy and fun and it really makes me laugh and cry. Seriously, It just makes me so happy and it’s been a long while since I could say that about a kdrama. Everyone is doing such a good job in their roles, especially the 3 main leads. So good! Samantha Aug 11 2018 6:05 am The best drama that I watched this year. Best actors and best actress. Fighting!!! ara Aug 10 2018 9:33 am This drama is so, so wonderful and I'm only on the sixth episode - the acting, chemistry, comedy, characters, plot. I'm so fascinated by what will happen, and the otp are the cutest. Maple Aug 08 2018 11:39 pm After because this is my first life, i found a new love in monday-tuesday slot. Yes this is super awesome current drama no doubt Shs is really good on teary scene i love her? Angel Aug 08 2018 8:58 am I'd like to see more exposures of Kim Hyeong Tae. 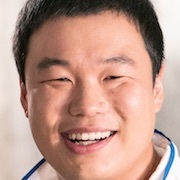 I barely see him in every episode when it's him who is constantly visiting and taking care of Woo Seo Ri when she was is a coma. I believe he deserve to have more screen time? Worldwide Handsome Aug 08 2018 7:10 am All casts are great..even a dog acting on point.that dog deserve an award! !.plot developing so well..i like funny and light plot drama..hope this drama become a hit..shin hye sun is undoubtedly new top halyu actress!! saymyname Aug 08 2018 4:06 am They put Deok Gu/Fang as the cast tho ? I can't help to laugh when Jennifer comes haha.. Even she doesn't talk any words, but her facial expression is so hilarious ?? Nj jayu Aug 07 2018 10:39 am This drama is so good it's simple yet funny, I love everything about it! I recommend you to watch it!! Andre Aug 04 2018 11:40 pm I love how this shows ties together that Seo Ri was in a coma for 13 years, but in a way so was Woo Jin. His wasn't so much a coma, but a prison of guilt. He shut everyone out and stopped maturing as a person emotionally. So they really are emotionally at the same age as well as the same physical age right now. I love this drama so much for its heart and humor as well as great life lessons. Plus I'm learning so many quotes thanks to Jennifer Poppins. You'll know what I mean if you treat yourself to this wonderful show. Jac Aug 01 2018 9:37 pm I'm watching this because of Shin Hye Sun..she was also in the drama She Was Pretty the same writer of this drama..loved her in My Golden Life and Stranger..she really nailed every character she was given..im loving this drama where it is heartwarming drama..and I love that all of them have a great chemistry..Chan,Mr Gong and Weori..
KHR Aug 01 2018 1:13 pm I thought i am not going to enjoy this drama but i was wrong! This drama is soooooo gooood! I am not a fan of Shin Hye-Sun and Yang Se Jeong but their chemistry got my attention! Sometimes its not really about who would be the actor and actresses will portray the role but also the chemistry they have! I guess, chemistry is the most important.. just saying..
Hana Jul 31 2018 1:04 pm The story is refreshing And i like jennifer a lot Ye ji won always great! Qee Jul 30 2018 8:18 pm I had no expectation for the drama at first but now im hooked because its soooooooo good! Liza Jul 30 2018 5:03 pm I have been patiently waiting for this drama to air 2 months prior. While binge watching episode 1, I constantly knew like this would be my all time favorite! Not only are the main casts great at their roles, but the plot was exceptional, I laugh and cry as the plot takes me. Now I'm hooked on this, better news for me is this drama will not end until its 40th episode. Awesome-sauce!!! I just wish our Woo Jin would hurry up and realize that he had mistaken her friend as her, and show his love to Ms. Seo Ri..... <3, LOVE!!!!! And shout out to #Terry, #Air89, #Dutches #Someday, I literally said the same thing watching this marvelous drama. s Jul 30 2018 8:01 am Honestly though! That dog is so good! Terry Jul 29 2018 4:25 pm I don't know why the ratings here are so low because anyone who actually has watched this show finds it to be heartwarming and funny. Are there bizarre bots out there trying to push this show down or people who are just basing their ratings on the description vs actually watching the first two episodes (actually four 35min)? The overwhelming majority of people love this show because it's so rare nowadays to find such a warm and relaxing yet interesting and funny show to watch where the whole entire family can love. It's the best show I've seen in years since Master's Sun in terms of humor and heart. Amina Jul 29 2018 3:38 am I really like this drama, nice story and the actors are great. Carii Jul 28 2018 9:08 am I love the plot. I really love this drama that i cant wait for the next episode!!! Shin unnie is someone that is not that pretty at first sight but after awhile you'll see her charm and beauty, her acting is superb. Unni fighting!!! Apple Jul 27 2018 12:54 pm I really really like this drama ??? air89 Jul 26 2018 7:40 pm This drama is amazing!!! The story and the actors are great. someday Jul 26 2018 5:00 pm Very funny, the accident scene is amazing, the acting skill of SHS is so amzing. Shin Hye Sun can pull out my deep feeling, I cry then laugh and then laugh then cry ... so amazing. SHS's acting is so natural, I can't stop loving her. Ayça Özen Jul 26 2018 8:35 am Love it! Love it! Love Itt!! And we have 20 episodes! Fighting! dutchess Jul 26 2018 4:41 am The writer of this drama is same writer of she was pretty.No wonder.I got dejavu feeling.When I was reading the plot of that drama,(she was pretty),I found it flat and boring.Same goes with this drama.Simple plot,nothing special.But oh my! how can they make it so extraordinary with a simple plot. I don't know but there's something about this drama that gives me happiness and excitement at the same time..The female lead is just.....a gem!I started to like her in her drama,my golden life,with thatdrama drama.She became my favorite actress,beating song hye gyo and kim tae hee and jun ji hyun,who have always been my favorite actress.Hahah!ps.first time to like the male lead.I ddint like him in temperature of love nor all of his dramas,but here,he's so hot!! !or maybe i'm being biased because he's being paired with shin hye sun.Haha.Anyway,first two eps are nice,cool and lovable!! Wendy Jul 26 2018 4:06 am The plot is fresh and smooth! I loveeeeeeee this ? Ann Jul 26 2018 12:54 am I ❤❤❤❤❤❤❤❤❤❤ this show! It's one of those rare heartwarming funny shows that is so enjoyable to watch that you can watch it again and again. There's not one character in this show that isn't interesting or funny. It funny and silly while still being a smart, well-written show. The acting is great as well. Shin Hye Sun is hilarious and I think this will make her a huge star. mgarsona Jul 24 2018 10:11 am OMG! The dog... cute! Katy Jul 24 2018 8:47 am second episode very good and now with the eternal lover to wait the next week, what despair. kdrama tards Jul 23 2018 5:50 pm Don't believe the score at the top on any drama you search for on here. Most of them are pumped up due to koreaboo virgin kids, that are just obsessed with the actors even if the drama is total trash. Katy Jul 23 2018 3:02 pm I was anxious for the opening date and I loved it well for the protagonists. Ellen Jul 23 2018 2:25 pm ??? Love that the little dog has a starring role. Hope to see a link with more info on this cutie ? Baek Jul 19 2018 10:32 am Weird her mental age is 17 yet she's acting like she's 10?? Makers better sort it out! Yee Jul 11 2018 5:06 am Patiently waiting for this drama to air. The storyline seems interesting and I love both the lead actors. 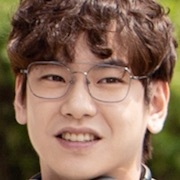 I am glad Ahn Hyo Seop took this in all reality... Sure, he is wildly popular and veterans like Kim Won Hae can guide a goldfish well enough to memorize a script in Korean ;) but especially beside Kim You Jung, honestly, with her immense experience despite her age, Yoon Gyun Sang (if he takes the role) is a much better option for the lead-especially now that they probably feel pressed for time because of its delay (it would be wonderful to have Clean With Passion for Now air after Life which will likely end at the start of September; otherwise, it won't be until November or later). Back to 30/17... I really hope they make it somewhat light-lots of trauma-drama of late and much lightness amidst it is needed to balance it out. Either way, I know whatever the script offers this leading lady and man will totally rock it and improve upon it, even, and I trust the director who has made good scripts phenomenal and okay ones good-his 52 years on this earth have quite a good contribution (Pinocchio probably the most acclaimed, The Time We Were Not In Love also fantastic in that year...I Can Hear Your Voice really the first role of depth for LJS who clearly respected this fellow to be a lead in another production of his just over a year later! ), Gapdong a totally different world but handled remarkably, Cheondamdong Alice admittedly a show that repulsed me but it is because the characters are inherently supposed to be repulsive so the director, while choosing something quite risky, did his job so well I still cringe thinking of it! 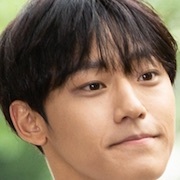 The only lackluster show on his resume for me was the little 4-ep coproduction w/a Chinese streaming site, Gogh's Starry Night...catchy enough music to be stuck in my head but while it had great talent, the writing was pretty lame (but SBS ultimately gets to choose your work as long as they give you your paycheck!)... Anyway, it is going to be exciting, and Ahn seems more suited for this set than to be beside Kim You Jung...granted, it will be pretty funny if that tiny girl is paired with our giant Rebel YGS! Nara May 30 2018 2:44 am I don't like the fact that Shin Hye sun will play the part of a 30 year-old with a mind of a teenager... but that's ok i have no life so i guess i'll watch this drama with a misleading plot ! Wakai May 20 2018 11:38 pm Yang Se-Jong and Shin Hye Sun, are my best favorite. I cannot dream more perfect association. A lot of expectations for this drama. One thing I can be sure that whatever plot as they deliver sincerity in their acting, the drama will be saved. I like all the dramas of Se-Jong, dark role or romantic and sensitive. Amazing actor! Shin Hye Sun was very good in second role (Forever Young, Five enough), and the last main role in My Golden LIfe was just superb. Rose May 20 2018 7:46 pm excited for this upcoming Drama of Se Jong..
Wayer May 20 2018 11:32 am Daebak!! I was browsing about Yang SeJong and I found out about this. Omo a collab between HyeSun and SeJong is da bomb! Both are doing great in dramas I guess many will expect this to have high ratings. Hwaiting! C0reen May 20 2018 2:25 am Actors are great, but the plot just sounds terrible. Marmotte May 17 2018 7:05 pm Too sad, hope to see Seo Eun Su in female lead. Maninder Kaur May 16 2018 7:54 am Ok.. breathe it calmly.. yess Yang Se Jong and Shin Hye Sun is coming togther in a Kdrama ( pinched myself) !! Yay yay ...Daebakkk .. So muchhhhhh excited to see my two fave actors in a Kdrama together, it's an first female lead role for Shin Hye Sun in mini series! Am i correct? Debs Regs May 16 2018 2:11 am So excited to watch it. Qaa May 07 2018 9:01 pm are still SHS and YSJ take the role this drama? if its yes, def I'll be watching. I've seen them both sitting side by side in the baeksang award last week, where they are nominated and YSJ won it. hopefully they are in frame in one drama very soon. Kim May 07 2018 1:05 am I thought Shin Hye Sun had really funny scenes in She was Pretty, the writer for 30 but 17's last show. That outhouse scene with SHS was hilarious. Though they wrote her character to be a mini antagonist, after that scene, she started to grow on me. Once I saw SHS in Five is Enough then went back to watch She was Pretty, I appreciated that character and SHS's comedic timing even more. sul Apr 19 2018 12:35 am yess! i hope shin hyesun & yang sejong will get to work together! really looking forward to their next work following temperature of love & my golden life! chan Apr 14 2018 7:57 am woaaah YSJ ♥ and now here I am hoping Seo Eun-su will be the female lead ? lkb Mar 27 2018 12:14 am I am curious about whether YSJ in particular will take this role-the writers he worked with so far were better than the so-so one for this... I hope this writer has improved a lot-SWP certainly showed improvement over prior works but the director has usually had much better success than the writer (objective and subjective ie better ratings And to me better quality)... SHS only has the little 2-ep TV movie w/LJS on her plate right now but she is in high demand after My Golden Life+LotBS... I hope the writing is solid. If it is, the actors will soar. If not, it will weigh them down.